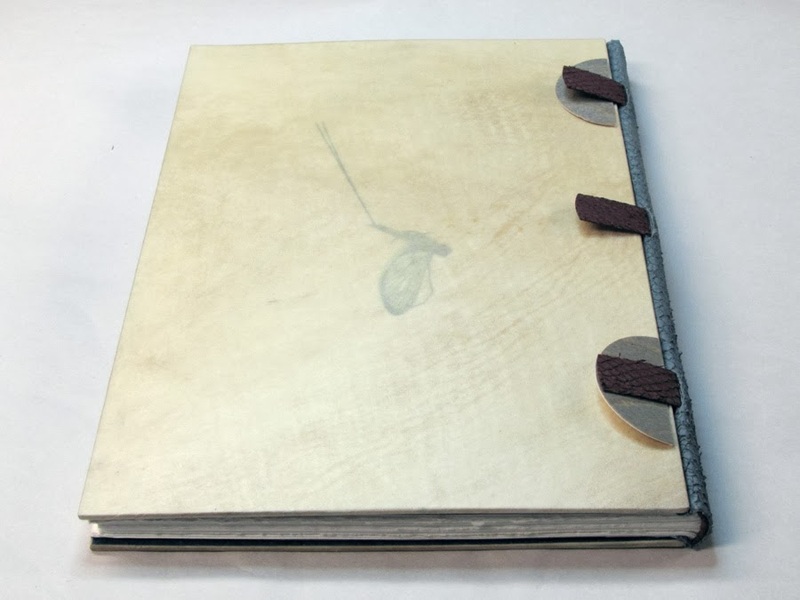 First the open joint (offener Falz) where the only board attachment to the textblock is via the tapes, in this case a laminate of vellum and fish leather. The gray elements are stained birch veneer. Then, an overview with boards attached, exterior and interior. Attaching the final design elements to the middle of the fore-edge. Final steps, detail, touch-up where needed, make box! 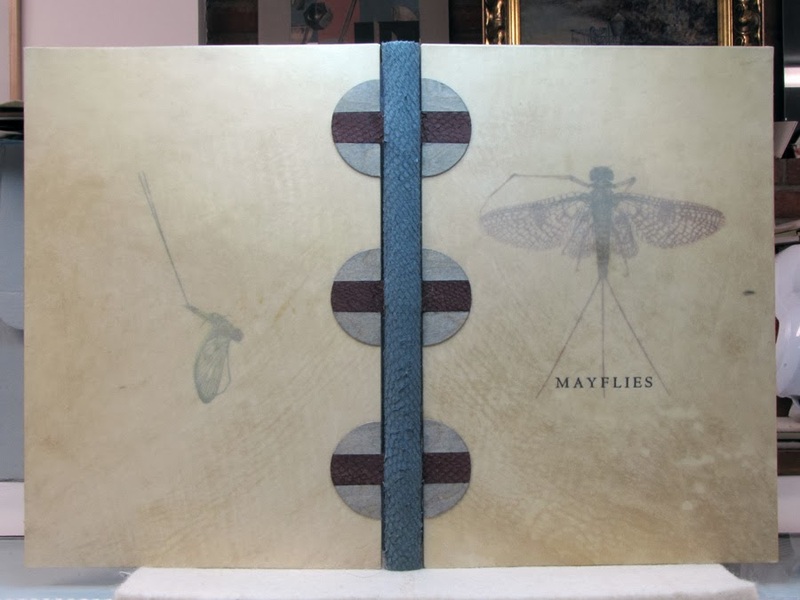 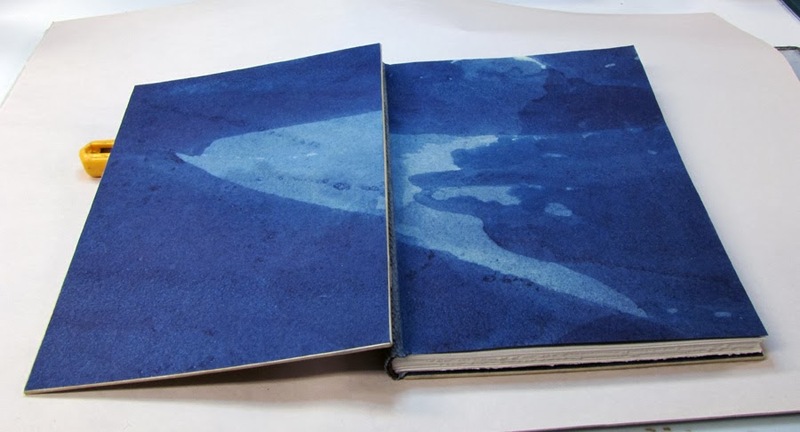 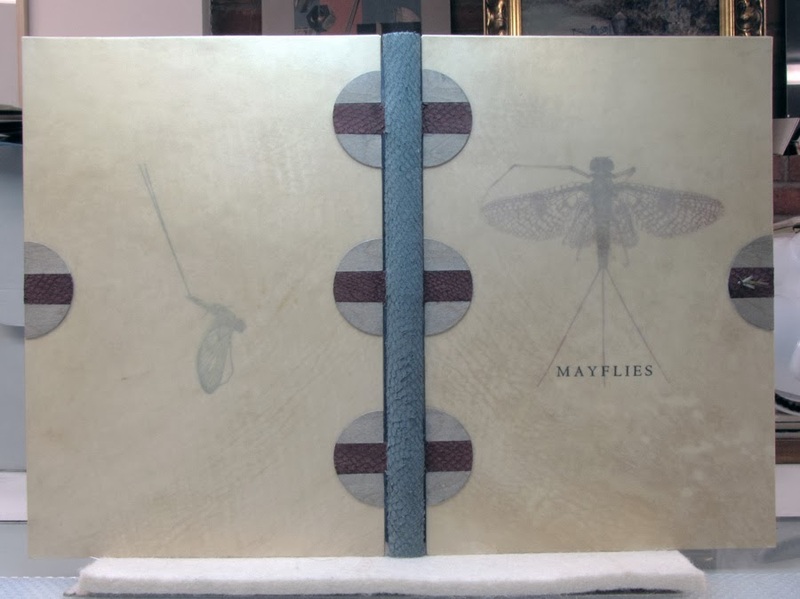 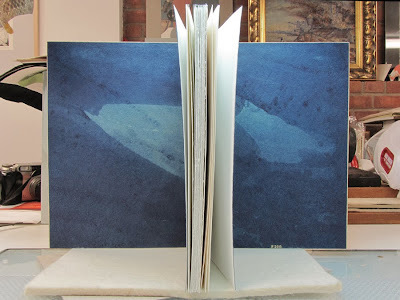 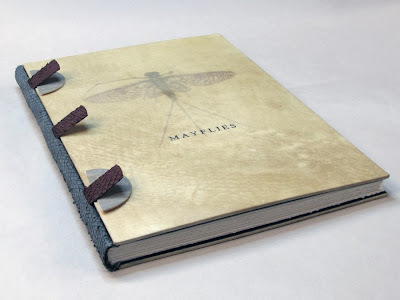 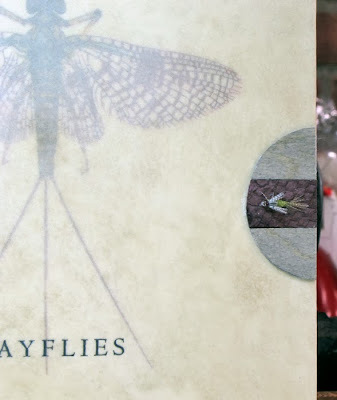 Good progress on Mayflies of the Driftless Region, vellum down, title stamped, doublures in place. 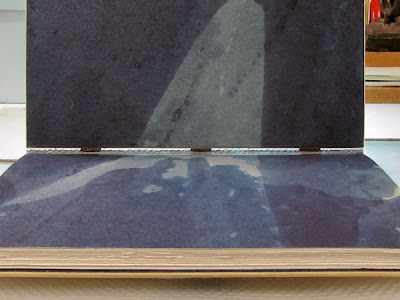 Below some images. 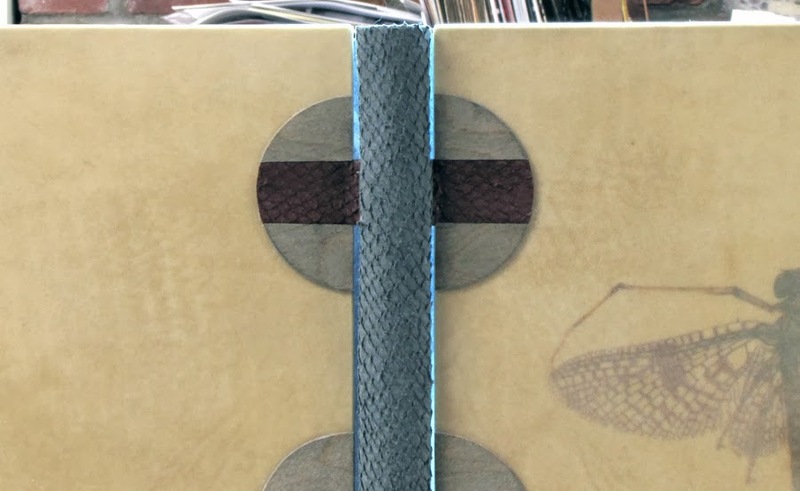 Half circles are aged wood veneer that will flank the fish-leather slips of all slips. 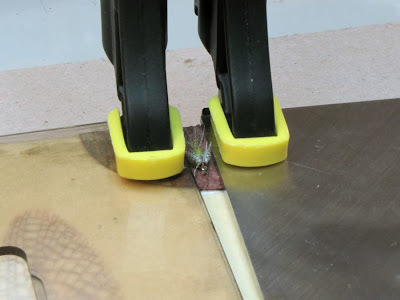 Just didn't have scrap pieces.